Financial companies, such as banks and credit card companies, as well as Google, PayPal and other mobile communication companies have created systems to allow consumer or companies to purchase and sell goods and services using a mobile phone. [mashable.com] The two main types of mobile payments are remote mobile payment and proximity mobile payment. [justaskgemalto.com] Remote mobile payment is when purchases are made via a text message or mobile website on a mobile device. Proximity mobile payments are when a mobile device is used at the point of sale. The proximity mobile payment generally replaces credit card or cash usage at stores, although they can alternatively replace the store payment systems instead. Proximity mobile payment is the largest growing sector of mobile payments. Low barriers to entry: The Mobile Card Reader is free and there are no monthly fees or contracts. This means that businesses of any size can afford to use the devices, as long as they have a tablet or smartphone. This is particularly advantageous for small, mobile, or temporary businesses such as at festivals or farmers markets and with food trucks. Customizable: Businesses can create virtual reward programs for frequent customers (digital punch card). 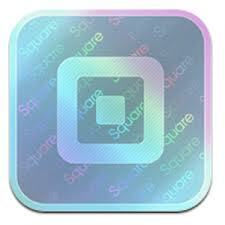 Fast processing: with the simplified credit processing system, businesses using Square will receive next-day deposits and payments are available in minutes in PayPal accounts. Digital receipts: Customers can receive their receipt electronically (via email). This reduces printing (cost & environment friendly!) and provides a service to customers by making receipts easier to save. In spite of these significant benefits, mobile systems do have a few problems. Google Square has limited technical support which can be an issue for less tech-savvy individuals. Also, at high volumes, the fees for Google Square are higher than for traditional credit card systems. Finally, misplacing the mobile card reader, or even your smartphone or tablet can a pose a problem. Finally, since this is still new technology, the adoption curve will match that of other tech products. 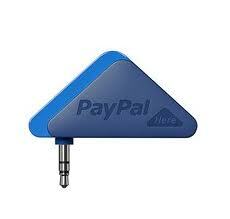 Individuals around the world have been saying that PayPal’s entry into the “accept credit card payments with your smartphone” game is an indication of things to come. [shopify.com] Experts have stated that it “validates the market”, moving the industry from the fringes of society to something you’re going to see more often in the coming months and years. [shopify.com] Anything that might make life easier for paying customers is very-much welcomed. In an investor call in January, PayPal parent company eBay announced strong growth for Q4 2012, and company executives discussed the big impact mobile played in those results. Given these results, people have accepted the fact that these mobile payment devices are here to stay and will make payment methods decidedly more convenient. As eBay CEO John Donahue said on the call, “mobile is rewriting the commerce playbook.” He continued saying, “at an extraordinary pace, consumers are embracing mobile as the everyday way to shop and pay.” [linonnelweb.com] Changing the way we as individuals pay for items and services will take time, and can involve some arduous work. You can connect with me on LinkedIn, Google+, Twitter (@SaraPaisner), via email, or on Facebook. This entry was posted in Business Strategy, Digital Marketing, Marketing, Marketing Strategy, Mobile Marketing, Social Media and tagged Google square, Mobile commerce, mobile marketing, Mobile payment, mobile payment systems, PayPal, Paypal Here, proximity mobile payments, remote mobile payments, Square. Bookmark the permalink.